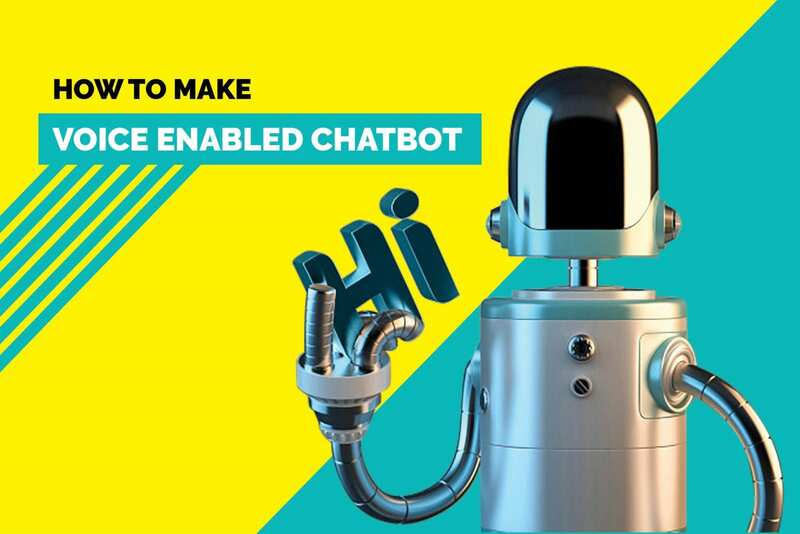 We have talked a lot about chatbots for customer support in our previous pieces. And a scalable, efficient and cost-effective human+bot hybrid system has always been our philosophy. In the past few months, we have released a lot of helpful bots to help you accelerate your customer support efforts. 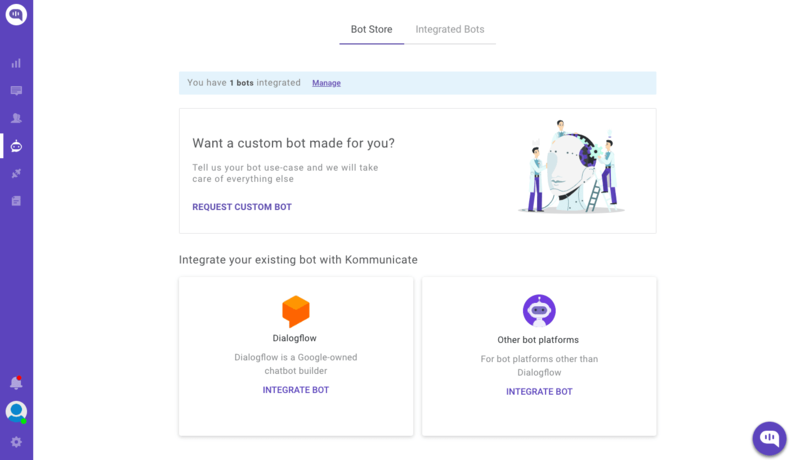 In this piece, I am going to walk you through steps to integrate Dialogflow (api.ai) bot into your website. We will be using Kommunicate powered chat plugin for adding to a website which integrates well with Dialogflow. 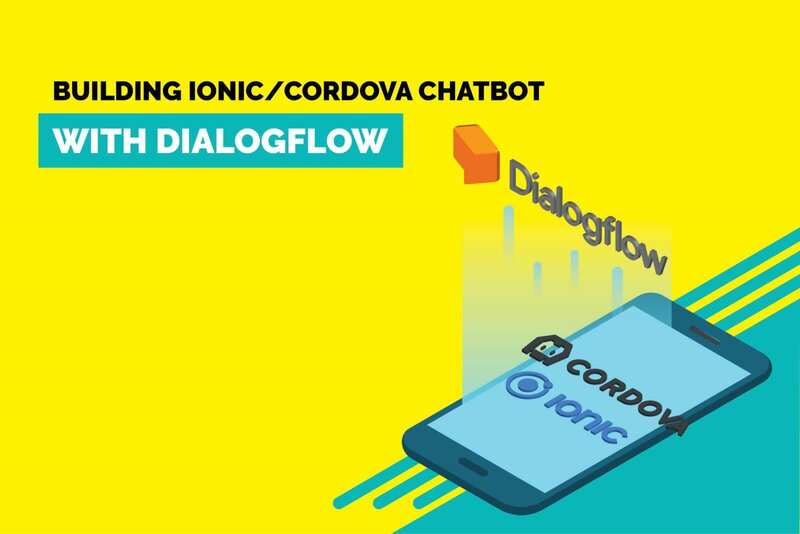 Can't wait to try out Dialogflow integration? Login to your Kommunicate dashboard and navigate to the Bot section. If you do not have an account, you can create one here. Locate the Dialogflow section and click on Integrate Bot. After clicking on the setting one popup box will open. You will be asked for Dialogflow credentials. You can get them by logging into your Dialogflow console. Click on the Settings Icon (gear icon on the left panel)and select V2 API as the preferred API version. Save your settings and follow the instructions to complete the setup. Go back to Dialogflow settings screen of Kommunicate, feed in your credentials, then click on next to save and progress. In the bot profile section that follows, you will be able to give your bot a name. This name will be visible to your customer whenever the bot interacts with them. 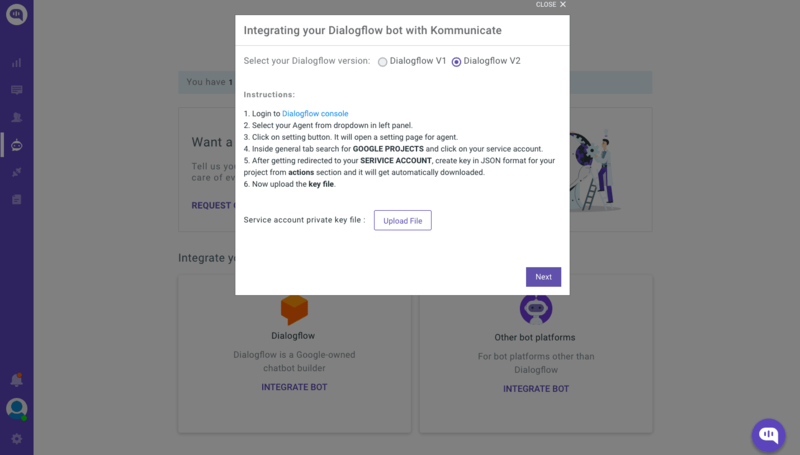 The final step is to connect Dialogflow bot into your website. 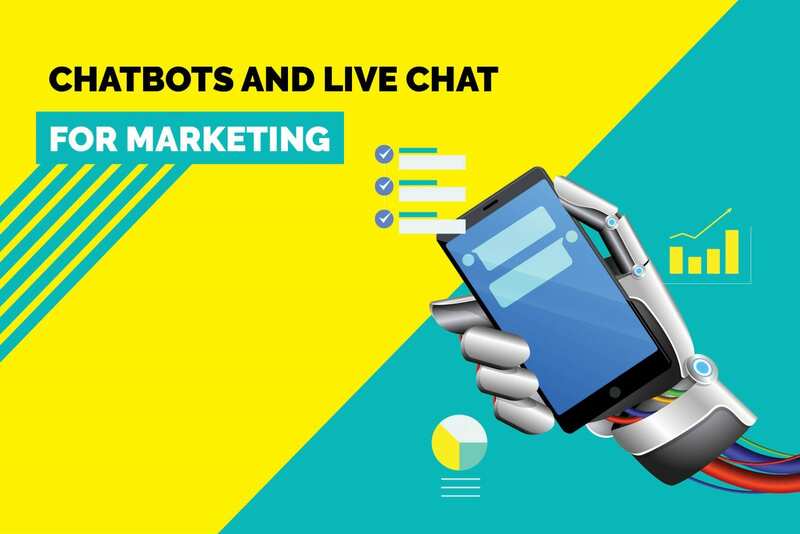 Before that, to use the bot in customer conversation, you need to assign all the incoming conversations to the bot. You can do that from the Conversation rules section under Settings. 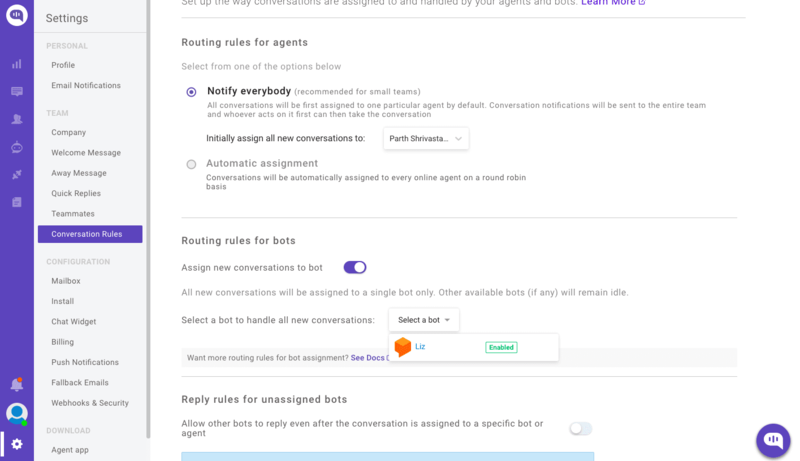 Enable Assign new conversations to bot and select your newly configured bot from the Select a bot drop down. Learn more about conversation rules here. 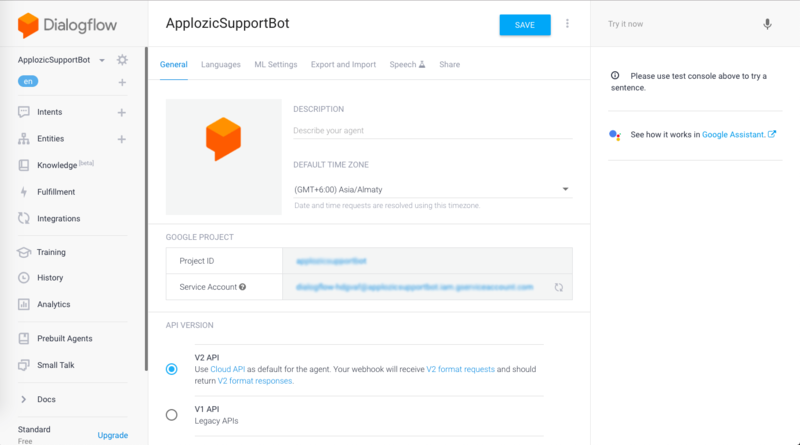 In these few simple steps, you can integrate bot using Dialogflow and Kommunicate into your website and automate mundane tasks so that your agents can concentrate on what only human can do. PS: I thank Vipin from Kommunicate team for helping me with initial notes.